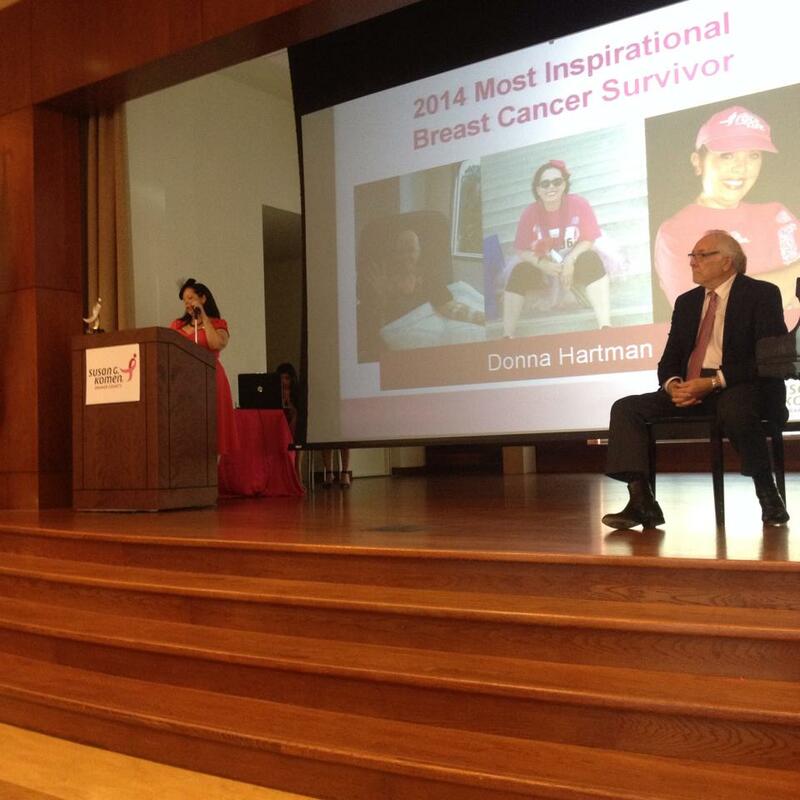 My name is Donna Hartman and I am a two-time breast cancer survivor. In 1996 at the age of 36 I discovered a lump in my right breast. I didn’t think it was cancer because I was so young. When I went to the doctor for the results, I was shocked to hear that it was cancer and immediately thought that I was going to die. My first thought was not for myself, but for my family. How would they deal with my death? I was that uninformed. I was single and lived alone and had a very active social life. 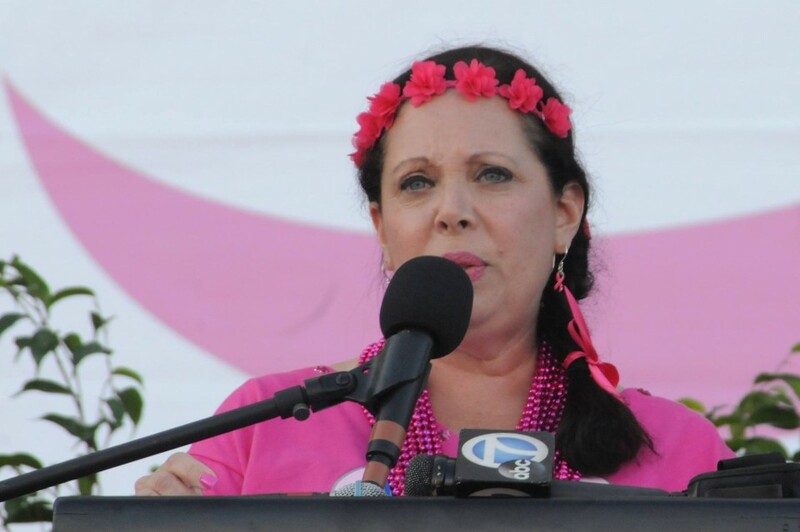 I had a lumpectomy and radiation and, even though it was difficult, I survived and moved on. I went back to work and I started a cancer support group at my church called Victorious Cancer Fighters. I did that until one of the members passed away. After she died, the members got scared and never returned. I moved on with my life and continued to have annual mammograms for the next 15 years, which were always negative. In April of 2011, I found a large lump in my right breast. I made an appointment to see my doctor but really didn’t think that it could be cancer. She sent me immediately to Hoag Hospital to begin the many tests that I would endure to find out what it was. A mammogram did not find anything, but an ultrasound found a mass on the right side. When the radiologist came in and said “we’re concerned about the mass at the 3:00 position”, I knew that it was cancer. I had a biopsy and waited for the results. When my husband and I went to get the results, we were scared and concerned but were braced for the worst. They said that it was cancer but that it was Stage I and not in the lymph nodes, we were relieved. The stage was later changed to Stage II. It was time to see the surgeon who recommended a double mastectomy with immediate reconstruction. She ordered more tests like a PET scan and an MRI. It was later determined that I also had a malignant mass in my left breast. I met with the plastic surgeon, which told me that because I had radiation in 1996 that I may not be able to hold an implant but that she would try. So on June 8th of 2011, I had a double mastectomy with immediate reconstruction. My plastic surgeon inserted what are called tissue expanders. They stretch out the skin so that they can later be replaced with implants. They inject saline into them over a period of time until the skin is stretched out. When I woke up from surgery, I was an A cup and was happy that the cancer was out of my body. I was bandaged up and couldn’t see what was happening underneath, but a Staph infection was brewing. When I went back for my post-op appointment, they discovered a horrible infection and sent me immediately to the infectious disease doctor who sent me to Hoag Hospital for IV antibiotics. After 48 hours, the infection was still there so one week after surgery they had to remove the tissue expanders. I was devastated. When I got home from the hospital, I couldn’t even look at myself in the mirror. My husband offered to either remove all the mirrors in the house or put them all at eye level for me. I eventually got used to my new body. The next step was treatment. I met with an oncologist who recommended chemo. 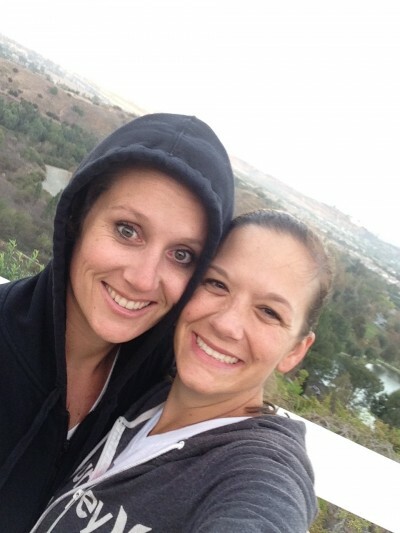 I was hesitant because I was scared but he told me that if it comes back again, it would be Stage 4 metastatic breast cancer that will either go to my brain, lungs, liver or bones. Chemo was really scary in the beginning but just like anything else, it became routine. For every side effect, there is a medication to counteract it. I got through it with the help of family and friends and my faith in God. It’s not fun, but it’s definitely doable. 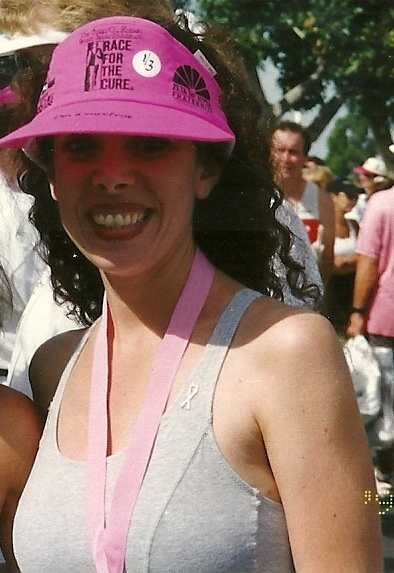 The chemo put me into premature menopause and I started getting horrible hot flashes. I lost my hair after 12 days and embraced my baldness. I had my hairdresser shave my head and donated my hair to Locks of Love. Unfortunately because of the hot flashes, I couldn’t wear wigs so I wore the most feminine, pretty scarves I could find. 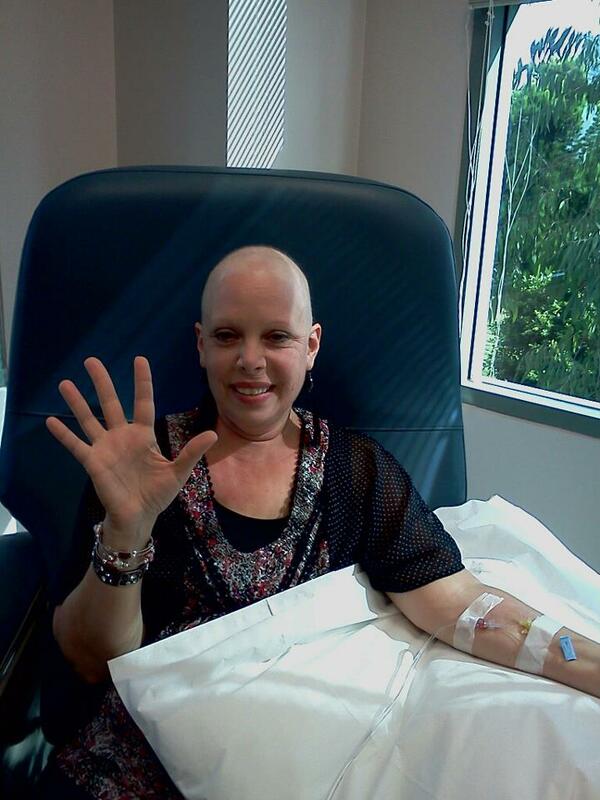 I did 6 rounds of chemo. 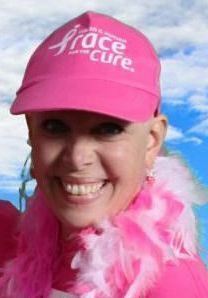 As soon as I was finished with chemo in November of 2011, I had a strong desire to give back and started volunteering at The American Cancer Society Information Center at Orange Coast Memorial Hospital delivering blankets, quilts, and hats to chemo patients in the oncology ward and helping out in the wig bank. I also had the privilege of volunteering at the Breast Center at Hoag Hospital where I was able to hold women’s hands as they were having biopsies and pre-surgery procedures. I also, at this time, went on an estrogen blocker chemo pill that I will have to be on for 10 years. It makes me gain weight, which is very difficult and has intensified the hot flashes, but I am alive. In January of 2012, my plastic surgeon again tried to insert the tissue expanders, but again, I got a Staph infection. They were removed. That was surgery number 4. She sent me to a specialist who performs another type of reconstruction. I had that surgery in May of 2012. It’s called skin sparing free flap. She told me that because of the radiation, my skin was damaged and would never hold an implant. She used the skin, fat and some muscle to make my new breasts. She even had to reattach blood vessels. The recovery was difficult and I got another Staph infection but because there was nothing foreign in my body to reject, the infection went away and the surgery was successful. Well, it was finally time to get back to work, but I didn’t want to go back to just any job. I had been an administrative assistant for many years, but I now wanted to work in the medical field. I wanted to work in a field where I was making a difference and I loved being in a hospital setting while I was volunteering. So I went back to school to be a Certified Medical Office Assistant and Certified Biller & Coder. While I was in school, I had my very last surgery, which was the final part of my reconstruction. I got another Staph infection and had a Picc line in my arm with IV antibiotics that my husband administered. After I finished school, I had a difficult time getting a job in the medical field so I started volunteering in The Breast Center at Orange Coast Memorial Hospital. After just a couple of weeks, a scheduler position opened up and I got the job; scheduling mammograms! I was there for two years and am now at the Hoag Hospital Breast Care Center where I work as a Front Office Assistant. 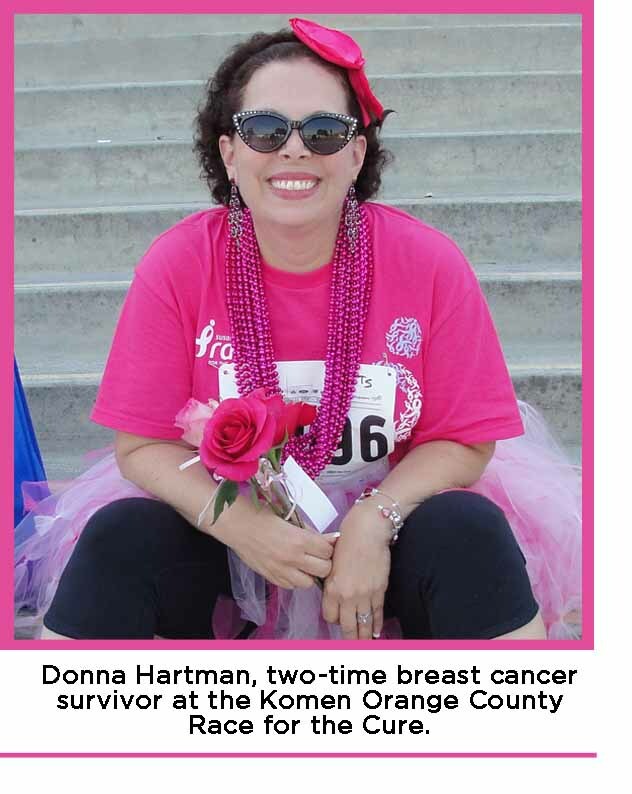 Three years ago I began to volunteer at the Susan G. Komen Orange County Affiliate. That has changed my life. I am on several committees doing what I have always loved to do; coordinate events. They also trained me to do public speaking. Trust me, that is not something that I ever thought I would be able to do. I feel like God spared my life (twice) for a reason and that is so that I can glorify His name and bring awareness to this disease. I have become an advocate and it is my lifelong passion to do whatever I can to eradicate this insidious disease but until that happens, to help women and men through their journey and to educate the public. Cancer has changed my life for the better. I have met so many people who I would never have met under normal circumstances. I am stronger and more resilient than ever and my perspective on life has completely changed. Most importantly though, is that my relationship with Jesus Christ is stronger than ever. What I would say to the newly diagnosed is this; get support, educate yourself (knowledge is power), do not allow your fear to paralyze you, say yes to people who want to help you, document your journey, take lots of pictures and trust God! My definition of a warrior is one who courageously fights a battle with the bravery of a soldier who keeps getting up again and again after they fall down. This doesn’t mean that you always have to be strong. Sometimes being a warrior means being sad and asking for help and being vulnerable. You don’t have to be strong 100% of the time. Whether my cancer comes back again or not, I will continue to trust God and have hope for the future! What an amazing story my cousin. We can truly say God has plans for everyone of us, and I’m so glad you’re here to talk and educate about this horrible disease. You’re always in my prayers.